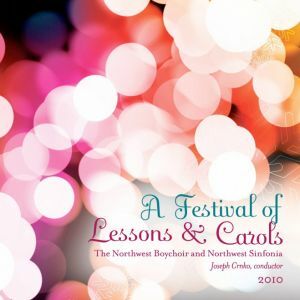 Perhaps best known in the Puget Sound region for its annual A Festival of Lessons & Carols, the Northwest Boychoir’s musical sophistication, rich tonal quality, and dedication to exacting perfection have established its reputation as one of the nation’s premier boychoirs. KING FM recently named A Festival of Lessons & Carols one of Top 10 Seattle Concerts to Attend At least Once. Along with Vocalpoint! Seattle, the Northwest Boychoir has trained thousands of young singers for more than 40 years, and more significantly, shaped the lives of our region’s youth by teaching important lessons in personal commitment and the value of teamwork. Live at Benaroya Hall, December 23, 2013 & December 23, 2014.